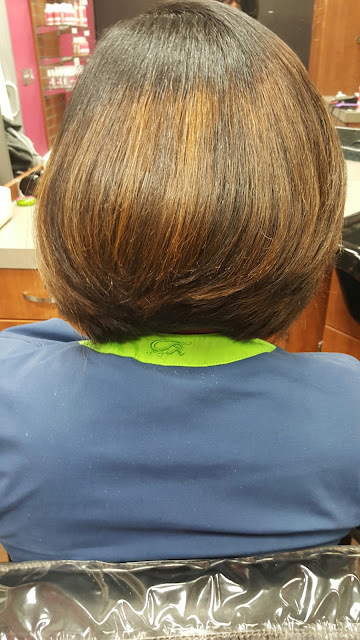 This client chose to have color over having a relaxer. Pick one chemical! Trim your ends regularly- This is a must. It is inevitable that the ends of the hair will start to split. Not clipping them will only lead to them continuing to split up the hair shaft. And there is no product out there that will "repair" split ends. The only thing that will repair them is a pair of cutting shears. Trimming your hair on a regular basis of every 6-8 weeks will prevent you from having to get so much cut off, and will keep your hair looking healthy. Use shampoo and conditioner that is customized for your hair type- Everyone's hair is different. And for this reason there is no "one size fits all " shampoo and conditioner combo. Make sure you are using the correct combo for your type of hair. If you have dry hair, your combo should include moisturizing and hydrating shampoo and deep conditioners. For oily hair, you should be using a clarifying shampoo and daily conditioner. If you experience dandruff, you should be using an anti-dandruff shampoo. Silk Hydration by L. Jones products are an excellent place to start your hair care search. "Treat" your hair- Give your hair some good old TLC. Especially if your hair has a chemical in it like relaxers and/or color, it is very important that you are getting protein and deep conditioning treatments in order to keep your hair strong and healthy. This should be done 1-2 times per month, depending on the state of the hair. 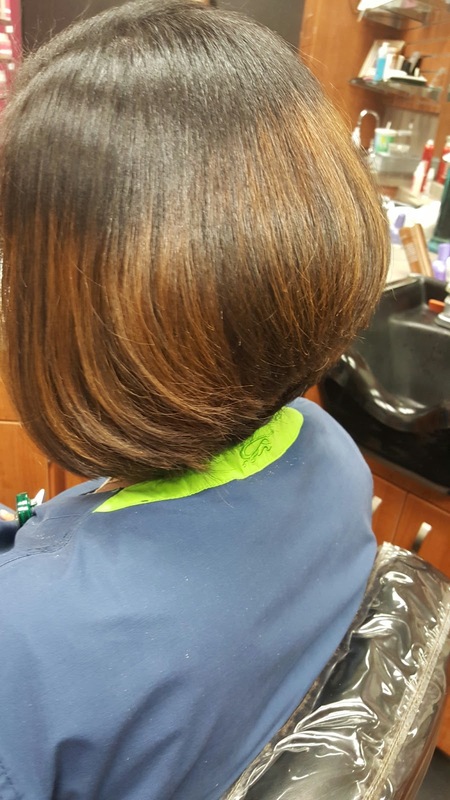 Don't mix relaxers with other permanent straighteners- There are several methods of ways to straighten the hair, from keratin treatments to relaxers. Pick one method and stick with it. Going back and forth will lead to breakage. Shampoo weekly- This is only a general guideline. Shampoo weekly or whenever you notice excessive product build-up on your hair. A clean scalp helps aid in hair growth, so you always want to keep your hair and scalp free from excessive oil, dirt, and product build-up. Healthy hair does not need a lot of oil, it will make its own. Minimize oil usage- Your hair creates it own oils (sebum) naturally. For this reason you want to use any oil or serum very sparingly. 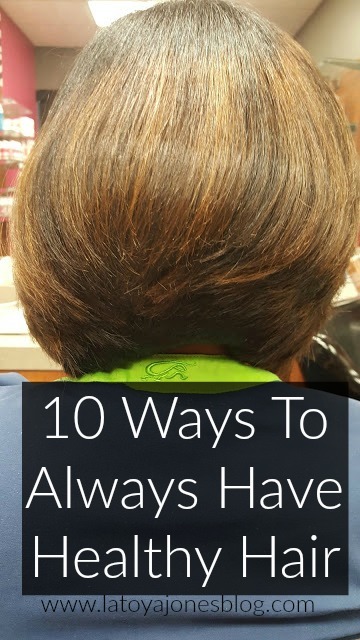 Using too much will cause your hair to look too greasy and weigh it down. Ditch the grease- Greasing your scalp should be a thing of your past. It is a common myth that greasing your scalp helps your hair grow. Grease is very thick and applying it to your scalp causes your pores to get clogged, which slows down your growth. Yes! 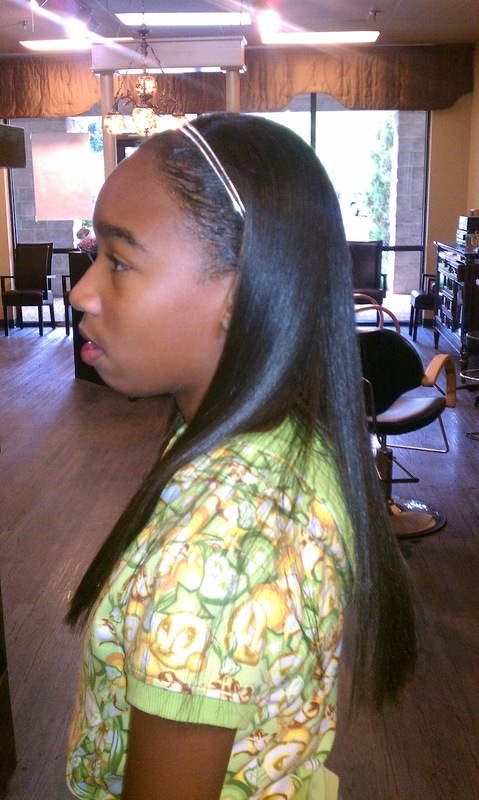 your hair can be this long AND healthy if you take care of it! Wrap your hair- This is one of the easiest yet most effective things you can do for your hair. Wrapping nightly helps protect your ends, makes your style last longer, and can help your relaxer last longer. Wrap every night with a satin scarf, or if that is not possible, use a satin pillowcase. Use minimal heat- You should never use a professional heating tool for your own personal use. I say this because if used incorrectly, it could lead to severe breakage and hair loss. When choosing a styling tool, always make sure it has a temperature gauge so that you can control how hot it gets. A safe temp for normal to medium hair is 350 degrees. 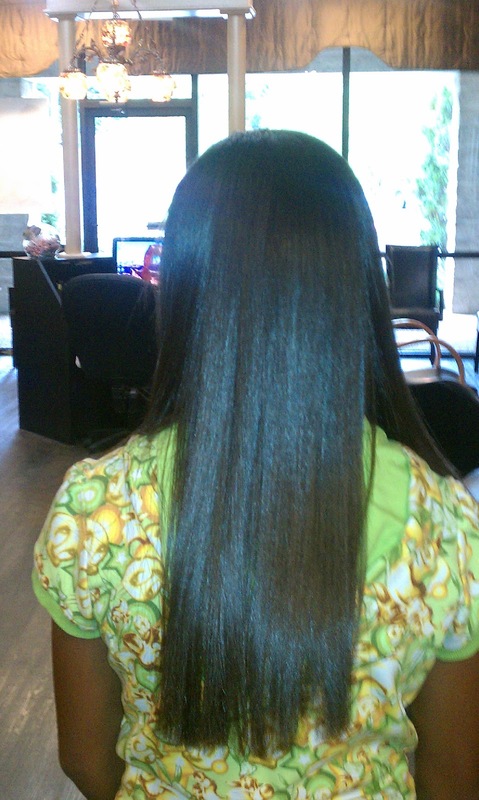 Moms, let a professional keep your daughter's hair healthy for you. 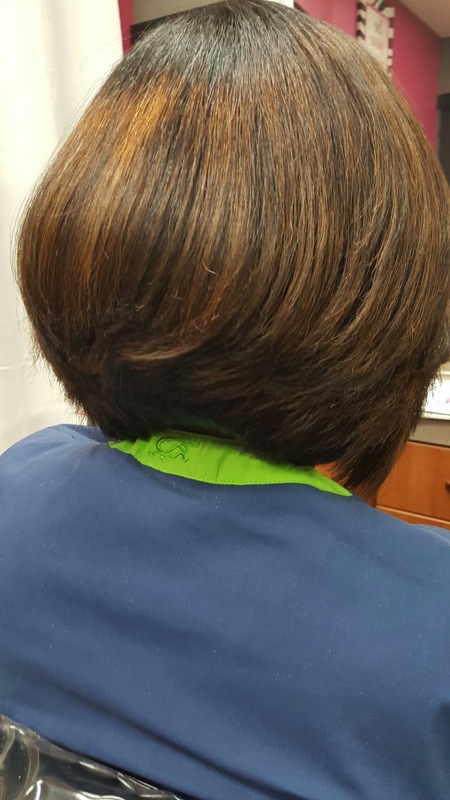 Go to a professional for chemical services- I strongly recommend seeing your stylist for all chemical services. If you mess up, it will cost you far more than the money you were trying to save by doing it yourself. Helps it to stay straight and lay flat longer, especially around the edges. How often to oil scalp?